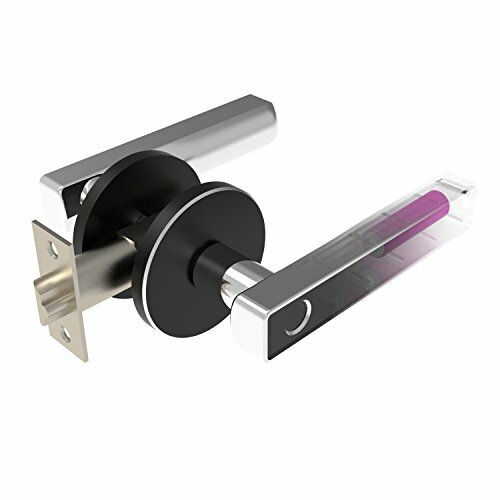 HARFO HL1 is a revolutionary smart lock. HL1 is sleeker and smarter than our previous keyless entry system and packed with more technology. Designed to fit any standard door, HL1 can be installed in minutes with only 2 screws. HL1 is the most affordable solution to home security. ★ FIT ANY DOOR: Replaces most standard U.S. door locks, both fit left & right handed doors. ★ DIY INSTALL: No wiring and no drilling. The whole installation takes only 2 screws. ★ SIMPLE USE: 1 touch and access with advanced fingerprint scanner, 100 users max. ★ CHARGEABLE: Use built in Li-ion battery. Charge 30 mins and work for 1 year. ★ SAFE LOCKING: 3 seconds after being opened, it will automatically lock behind you. If you have any questions about this product by HARFO, contact us by completing and submitting the form below. If you are looking for a specif part number, please include it with your message. © 2019 - mamboe.com. All Rights Reserved.